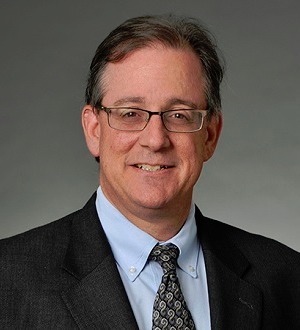 Kenneth B. Abel is a shareholder in Baker Donelson’s Baltimore office. Mr. Abel's practice focuses on mergers and acquisitions, securities law matters, Maryland corporation law matters, private fund and investment adviser representation, and general business representation. He has earned respect among colleagues and recognition from premier legal publications. He regularly advises Maryland corporations, including open and closed-end investment companies and real estate investment trusts incorporated in Maryland, and acquirers of these corporations, including activist investors, on matters of Maryland corporation law, including corporate governance matters and matters related to hostile takeovers and takeover defenses. He advises private funds and investment advisers on formation and compliance matters. He serves as "outside" general counsel to numerous emerging growth and mature companies, where he has extensive experience negotiating and/or drafting private offering documents, limited liability and limited partnership agreements, stockholder agreements, venture capital financing agreements, employment arrangements (including equity compensation for employees) and business contracts. Mr. Abel is the former chair of the Maryland State Bar Association's Business Law Section as well as the former chair of its Securities Law Committee. He is currently active on several Business Law Section committees, and has testified extensively before the Maryland General Assembly on legislation affecting business in Maryland. He is the author of two Bloomberg BNA publications on Maryland corporation law. Mr. Abel served as a member of the Special Joint Committee of the Section of Business Law and the section of Real Property, Planning and Zoning of the Maryland State Bar Association which prepared the Maryland Report on Lawyers’ Opinions in Business Transactions. He also serves as a resource within the Firm on legal opinion matters. Mr. Abel enjoys spending time with his wife and two children.